Austin’s own Ali Khan is blowing up. The burger blogger-turned-television personality was back in his east side neighborhood recently on a brief stopover while shooting the fifth season of his Cooking Channel series, Cheap Eats. Recently, Khan sat down with CultureMap for a cup of coffee and a chat about his new stint on the Food Network show, Spring Baking Championship. To be fair, he was sipping on a Topo Chico. The energy and enthusiasm this man has for all things food and travel already burns brightly, so the addition of caffeine, he admitted, might have been too much to handle. Upon arriving in Austin (“I went from one land of tacos to another land of tacos,” he says), his career took off when he landed the gig hosting Cheap Eats on the Cooking Channel. The show sends Khan to different cities around the country, challenging him to find four meals’ worth of delicious and authentic local cuisine for just $35. 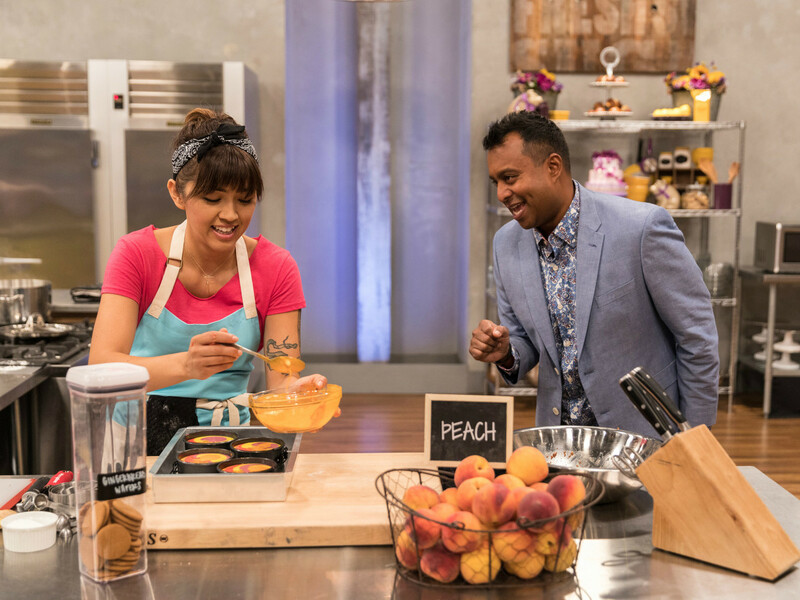 As if starring in his own TV show wasn’t keeping him busy enough, Khan is set to appear as the host on the fourth season of Food Network’s Spring Baking Championship (premiering Monday, March 12 at 8 pm). SBC is a competition show where bakers at every level — from Culinary Institute of America-trained chefs to home baking amateurs — compete for a $50,000 cash prize and the coveted title. While Khan’s television star continues to rise, his blog that helped start it all, Bang for Your Burger Buck, is still going strong. Although he's not in Austin as much as he used to be, the globetrotting gastronome makes the most of his time at home. “I’m going to la Barbecue for lunch,” he says before launching into the fine intricacies of what makes the perfect smoked brisket. He acknowledges that his ongoing quest to find the best food in the country — cheap or otherwise — is a quixotic one.